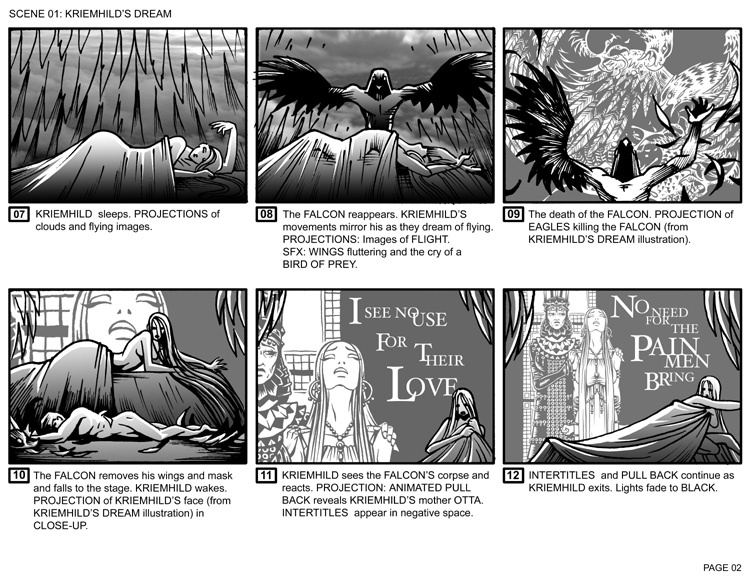 Presentation storyboard by Michael Manning for “Kriemhild’s Dream” sequence from Blood Red Lost Head Dead Falcon: The Nibelungen, multimedia performance (collision/theory – 2010). See full production credits here. 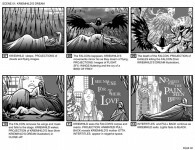 This entry was posted on Monday, July 11th, 2011 at 10:13 pm. 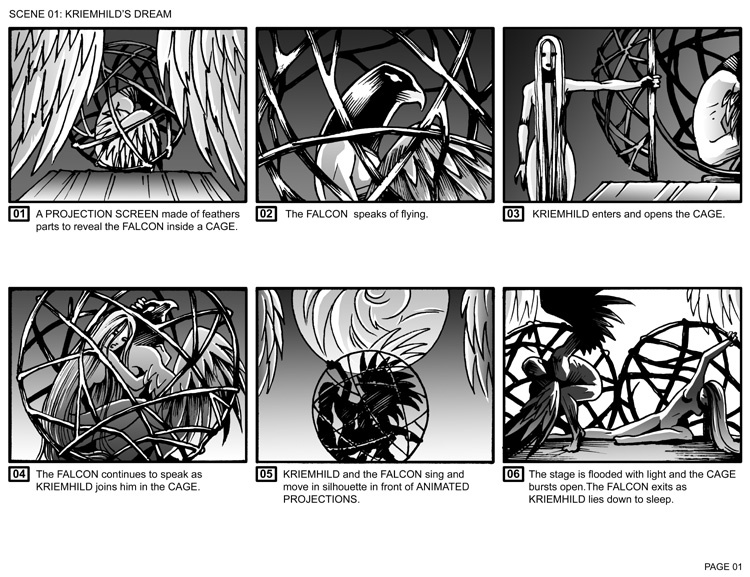 It is filed under Illustration, Past Productions, Storyboard, Theatre. You can follow any responses to this entry through the RSS 2.0 feed.